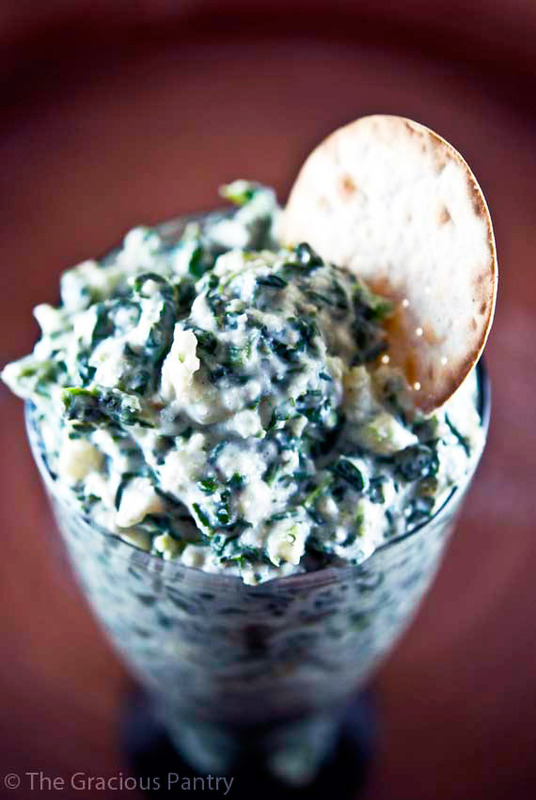 The fat content on most containers of spinach dip is enough to send you running. Here is a delicious low-fat recipe. Dovetailing tip: I always wash my greens, event when they say "triple washed". Buy 2 bags of spinach for this week's meal. Open both bags and wash and dry. Split in half and steam one for this recipe. In a clean sealable container or zip-lock bag, lay a paper towel in the bottom, and store the clean salad spinach for Meal 3. The paper towel absorbs water and keeps the spinach fresh. Using a blender, blend the cottage cheese until it is smooth and creamy. Add well drained spinach and pulse blender until spinach is coarsly chopped. Put the cottage cheese in a large mixing bowl, and add all other ingredients. Stir well.